So, I recently started jogging and I'm pretty excited about it. I'd tried it before, years ago, and failed miserably, always feeling like I was on death's door after just 15 minutes. But the other day, I don't know what came over me, I just got up and went for a jog. And I absolutely loved it. I survived a good 30 minutes, which seemed miraculous to me, and since then have even lengthened my route. 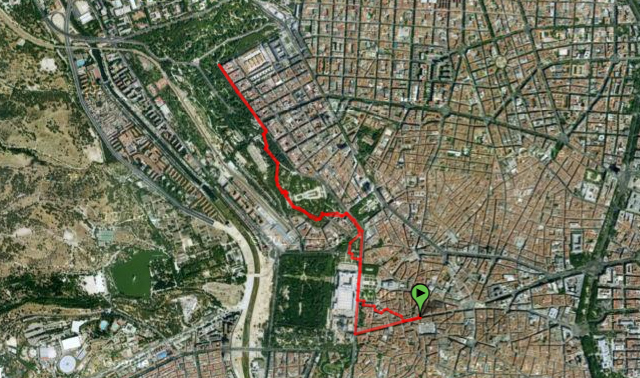 Honestly, I didn't even know there was that much green in downtown Madrid! I mean, yes, we have the Retiro, but I'd never really explored the area around the Templo de Debod and the Parque del Oeste. It's absolutely gorgeous over there, and so close to home! Again, as you can tell, I'm really giddy about this whole new world that's opening up to me. And of course, the shopping that goes along with it. Because clearly I need to buy some new shoes. I think I'm going to go to a specialized running store here in Madrid and have my feet checked out and have them do a gait analysis, which is funny to me because as a total beginner I think, I don't even have a gait yet! But of course I do, we all do. And I definitely want to be as kind to my body as possible on this adventure. 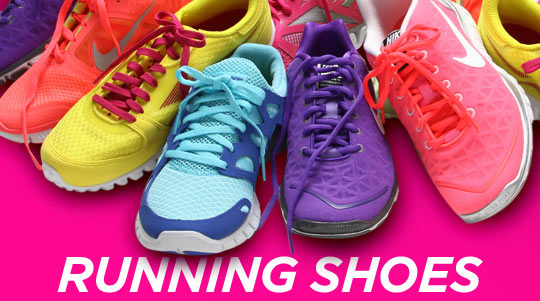 So, for all you runners out there, serious and casual alike, how did you choose your shoes? Which ones do you wear? How much do you run? How long have you been doing it? Any tips you want to share? This is is so exciting! I totally know how you feel. I try to go for runs but I'm pretty crap at staying consistent with it. It's so fun to get out and be in a beautiful environment. It's such a different way to explore an area... I love running along the river in Zurich! No matter how lazy I'm feeling I'm always glad afterwards that I decided to go. Wow the colors on those shoes are dynamite! I just started jogging yesterday! isn't that creepy? Co, that is crazy! We really ARE identical cousins! Did you enjoy it? Want to die? A little bit of both? San Francisco? I lived there for years! What a beautiful city that is! Though all those hills make me think I would never ever want to go running there. You are a braver one than I am. Enjoy your new shoes!